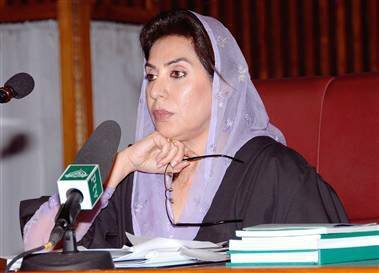 ISLAMABAD: Federal Minister for Inter-Provincial Coordination (IPC) Dr Fehmida Mirza is representing Asia at the Commonwealth Parliamentary Association (CPA) Executive Committee in London, UK. Mediterranean, Canada, Caribbean, India, Pacific and South-East Asia, said a press release. In the meeting, the minister talked about different aspects of Commonwealth Women Parliamentarian (CWP) and also highlighted opportunities and challenges as a result of the rapidly changing Commonwealth. It may be mentioned here that CPA is an international community of around 180 Commonwealth parliaments and legislature, working together to deepen the Commonwealth commitment to the highest standard of democratic governance and to identify benchmarks of good governance and human rights. The minister is an elected member of this forum since 2016.